Have you ever been told to “feel the music?” Can you feel the beat? The new Woojer Strap ($149 reduced from $249) delivers pulse-pounding bass vibrations throughout your body while enhancing the sound coming from your headset. It also takes video gaming to a whole new level, letting you “feel” the action on the screen. The strap uses haptic technology, which it calls Osci, to deliver sound vibrations through oscillating magnets in a closed loop magnetic frame. Simply put: What it “hears” you feel. Bass or sound effects produce the strongest vibrations, with little or no vibrations delivered from tracks without a strong bass line. You can wear it diagonally – – – like a sash – – – around your chest or around your waist. I discovered the strongest sensations when I wore it around my chest. 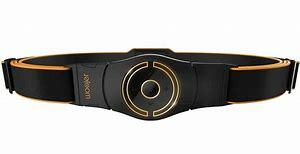 Basically, you just put it on, connect it to your gaming or audio device using either Bluetooth or an audio cable, connect a set of headphones and you’re ready to “feel the music” – – – or sound effects. If you prefer a more traditional listening experience, you may want to check out the Riva Wand speaker system. The system we tested consisted of a Riva Wand Arena Speaker ($249), a Riva Wand Festival Speaker ($499) and a portable battery ($99). When used together, this system can deliver multi-room audio from virtually any sources and can be controlled with your smartphone or through Google Assistant. The integration of Google Assistant allows you to tell it to play music from various online sources (Pandora, Spotify, etc.) without needing to pull up an app. Each speaker is designed to deliver virtual stereophonic sound so you only need one of these babies in the rooms you want to use. 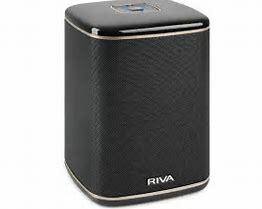 The speakers “see” each other using the Riva Wand or Google Home apps These control everything you need, from volume and music sources to connectivity. You can also stream music to these speakers using WIFI or Bluetooth with additional connectivity using Chromecast and Apple’s AirPlay. But this is only the tip of the iceberg. You can put the Arena speaker into its optional Travel Bag ($29) and take it with you – – – to the park, beach (it’s splash resistant) or your in-laws’ house. Attach it to the optional battery and pump out 50 watts of pure sound. The battery is designed to deliver up to 20 hours of power on a full charge. Plus, you can use the Arena to charge your mobile devices. Those of you looking for more portability may want to look at the new Edifer MP-700 speaker system ($179.99). 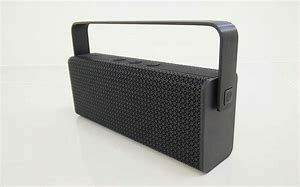 This is modern technology’s answer to the old boombox, delivering 8 watts x 2 for treble and 10 watts x 2 for mids and bass in its portable case. Using it is easy – – – simply turn it on, connect it to your mobile audio device via Bluetooth or using an audio or USB cable and you can stream your favorite tunes for up to eight hours before it needs to be recharged. 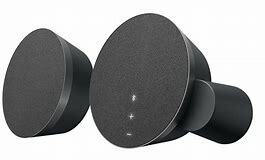 Last, but far from least, is the MX Sound computer speaker system from Logitech ($99). Basically, this system consists of two speakers designed to sit on either side of your computer monitor. What sets them apart from other computer speaker systems is their ability to connect to two Bluetooth devices simultaneously. You “switch” between the two devices by simply muting one and hitting the play button on the other using what Logitech calls its “super switching technology.” Of course you can also use an audio cable to set it up using only one device. The system delivers 24 watts of pure sound to enhance music, gaming sound effects or whatever else you listen to. Of course, this system isn’t limited to computer systems. Its dynamic range and unique use of bass – – – using drivers and port tubes instead of a subwoofer – – – make it a viable option for use with a TV or amplifier. Attention Facebook users: Check out Michael Berman’s Jocgeek fan page or follow him on Twitter @jocgeek. You can also contact him via or through his website. Beginning Feb. 6, you can hear Mike waxing on and off about tech trends on Tina on Tech.